Complaining aside, the book obviously takes the best shots from the episode. Here’s a few photos I took. 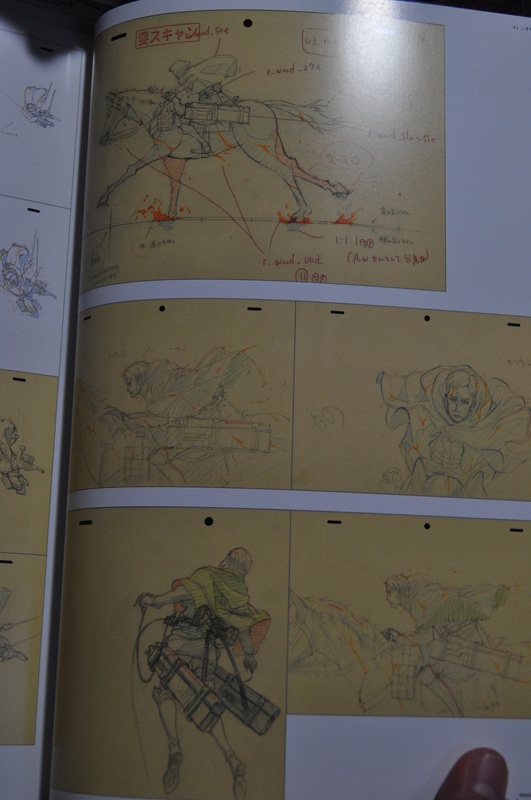 The book itself has comments by director Tetsuro Araki throughout. Even though it doesn’t identify who did which frame, it’s easy, for the most part, to see who’s responsible given the names Araki mentions in his comments. Sorry for the not-so-great picture taking. 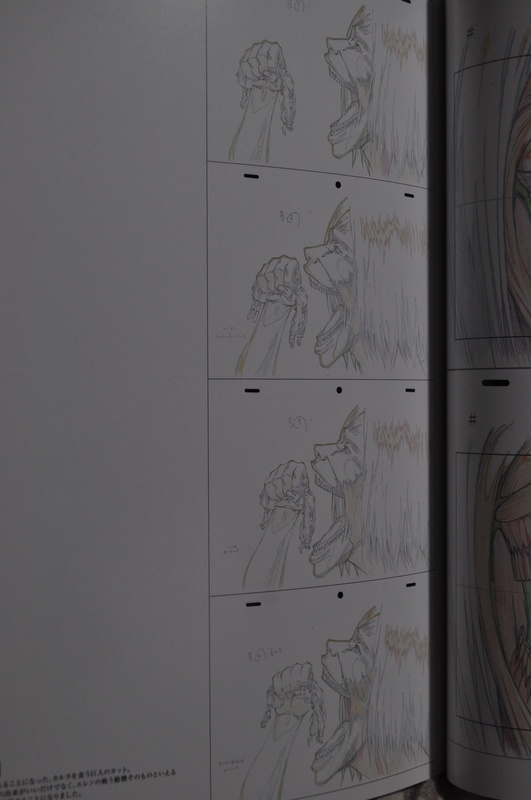 On the other hand, I got around to watching the Little Witch Academia Making-Of. It’s a bit clumsy made and there’s one really awkward moment (when the cameraman is rummaging through an animator’s trash bin to see the drawings he threw away—while the animator right next to him wakes up and sees this). 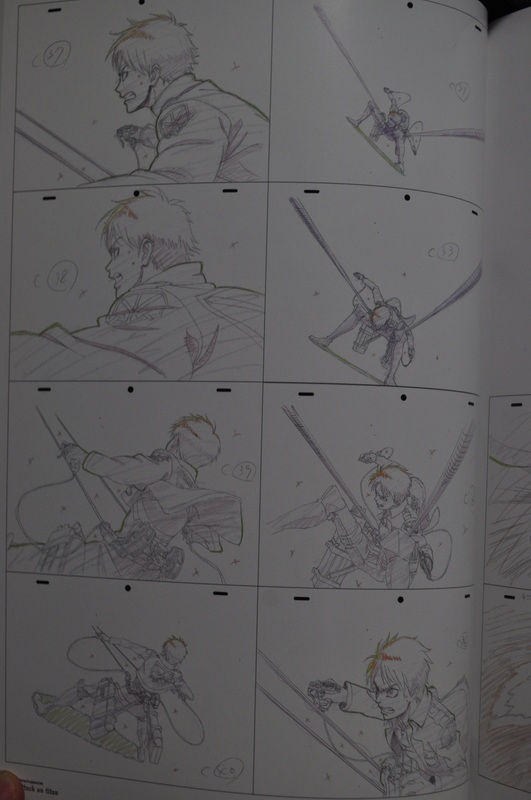 However, it’s still highly recommended for anybody who’s even remotely curious as to the animation process. 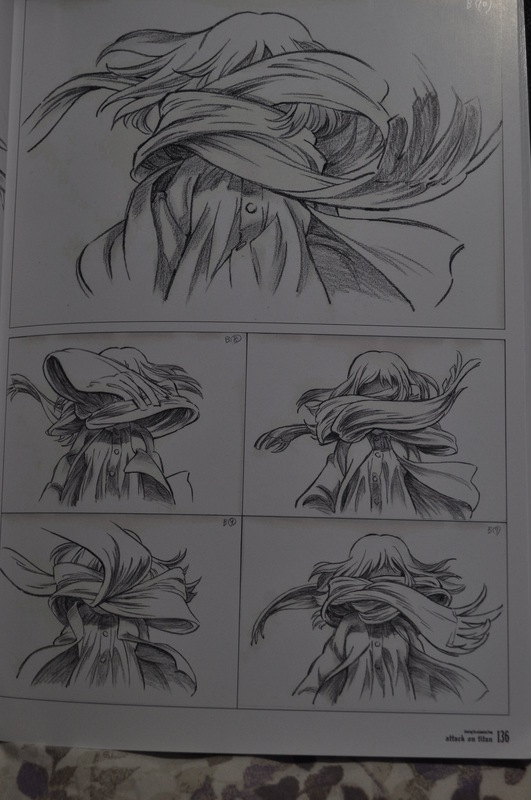 After seeking Masaru Sakomoto struggle with animating the opening scene so much, I’ll never look at that sequence the same way again. There were a couple other things that stood out to me. 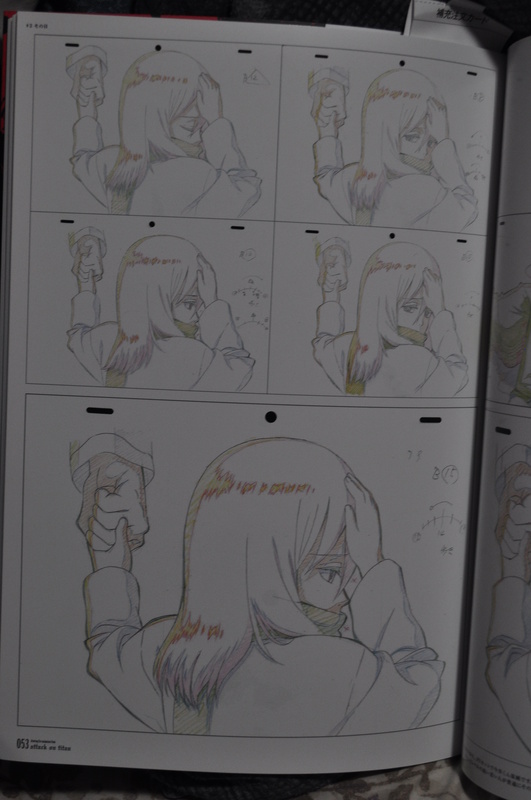 First, I feel like I finally have a better grasp of the importance of a director (whether the main director (kantoku) or the unit/episode director (enshutsu)) in translating the storyboard. 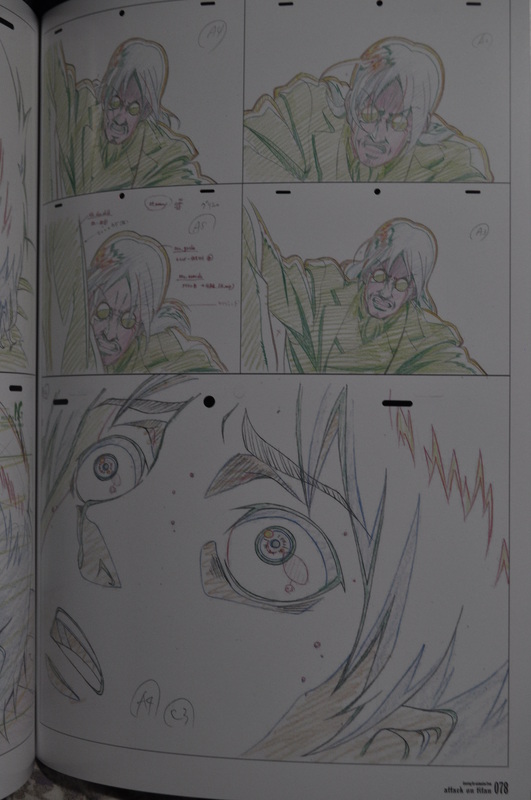 Here, we saw Masaru Sakamoto constantly struggle in animating Shiny Chariot’s opening performance on stage–in part because he was being too rigid. 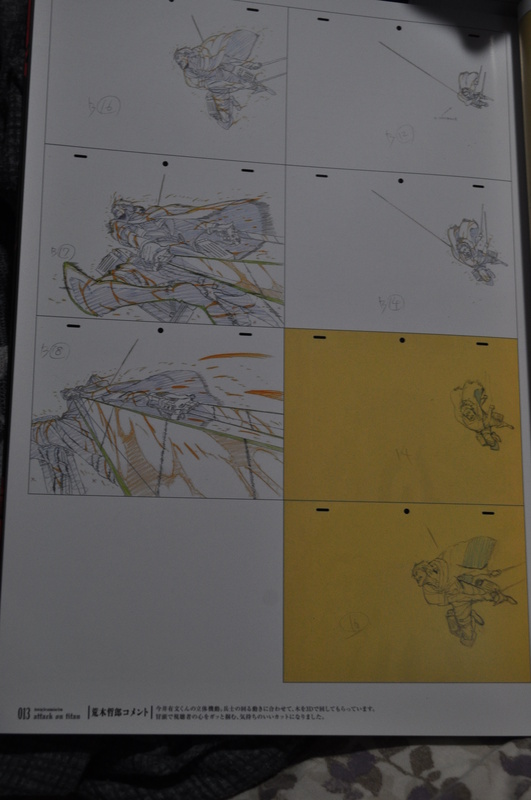 The documentary compares half of a cut drawn by Yoshinari followed by the second half of the cut drawn by Sakamoto. The differences were subtle enough that I couldn’t pick up on exactly why Sakamoto was being so hard himself after getting feedback from Yoshinari. 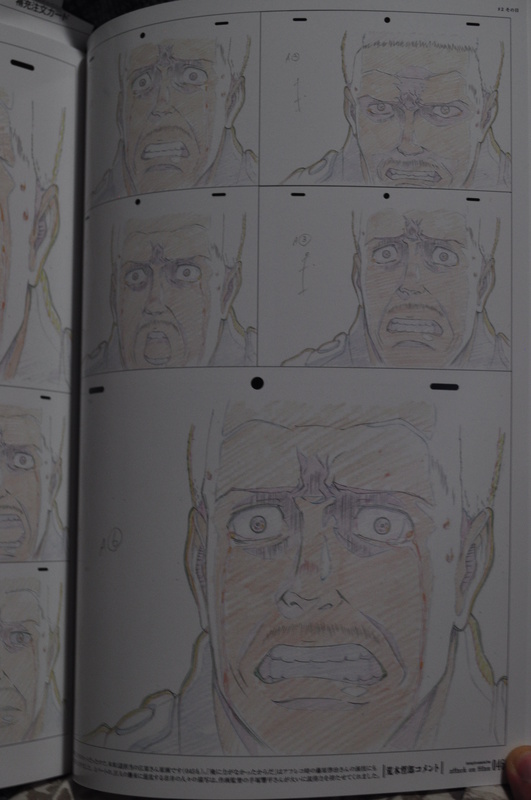 However, he did say that he was being too faithful to the storyboard after seeing Yoshinari’s animation and comments and that therefore his animation was lacking in comparison. 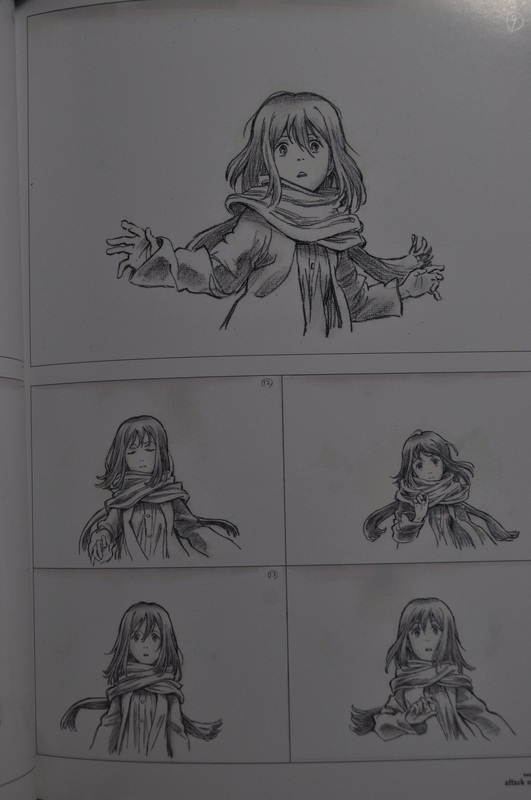 This made me realize that no matter how great a storyboard is, it’s not going to add up to much of anything if the episode director doesn’t help the animators translate those images and instructions in a way that really makes those ideas come to life. This is why somebody like Hiroshi Ikehata gained recognition early in his career. 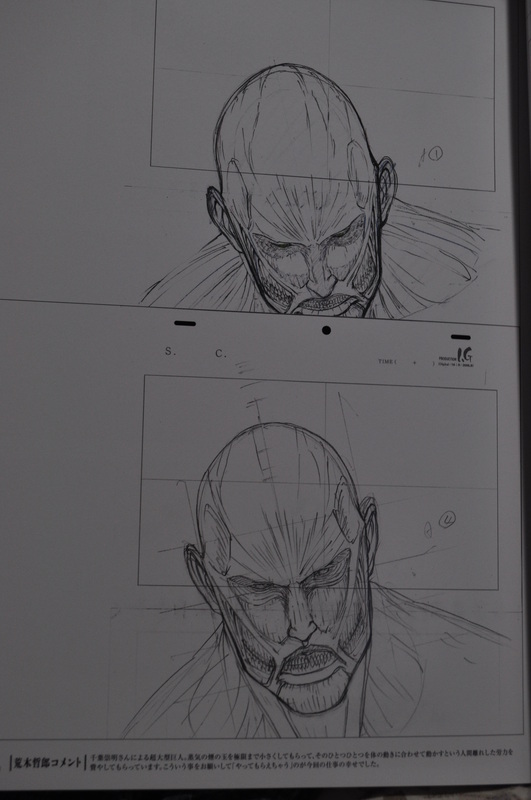 Even though he started out as mainly an episode director—leaving it to another person to draw the storyboards—he was able to recruit young and eager animators and was able to translate that talent he recruited into some of the most memorable episodes at the beginning of the web-kei generation. Without a competent director, a good storyboard can go to waste. 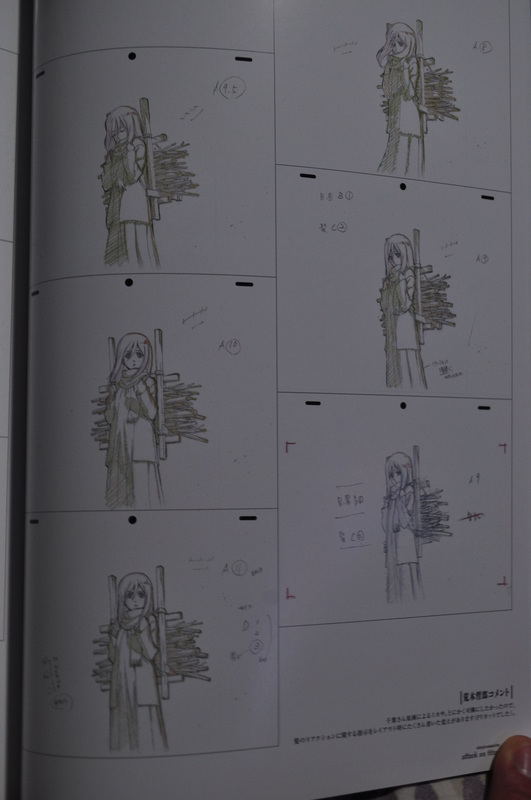 On the other hand, a great director can probably overcome some deficiencies in a weak storyboard. 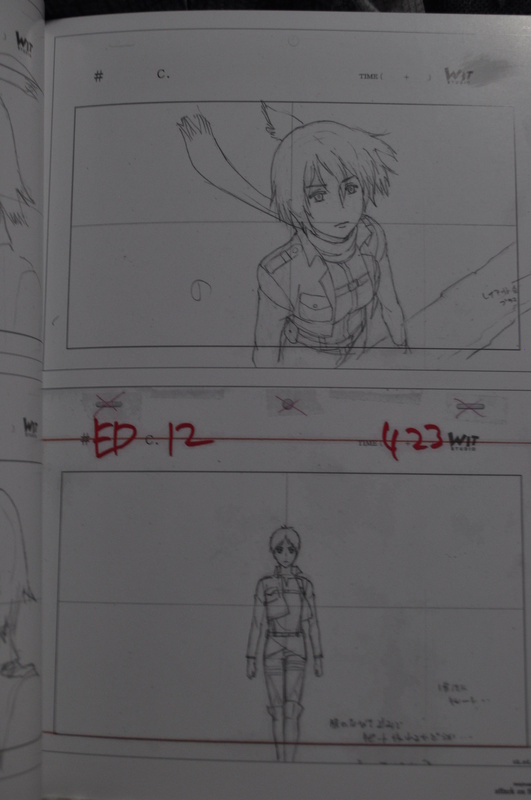 Noteworthy animation directors are also influential in interpreting the storyboard, especially when they’re working together with the episode director in the layout process. 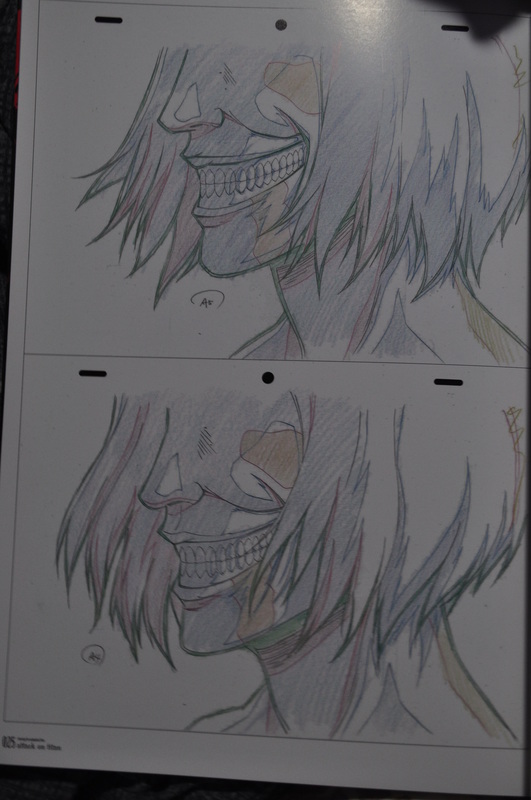 Another thing that stuck with me was a particular part of the Anime Mirai process—that the corrections couldn’t all be made by the main animator (in this case, Yoshinari). 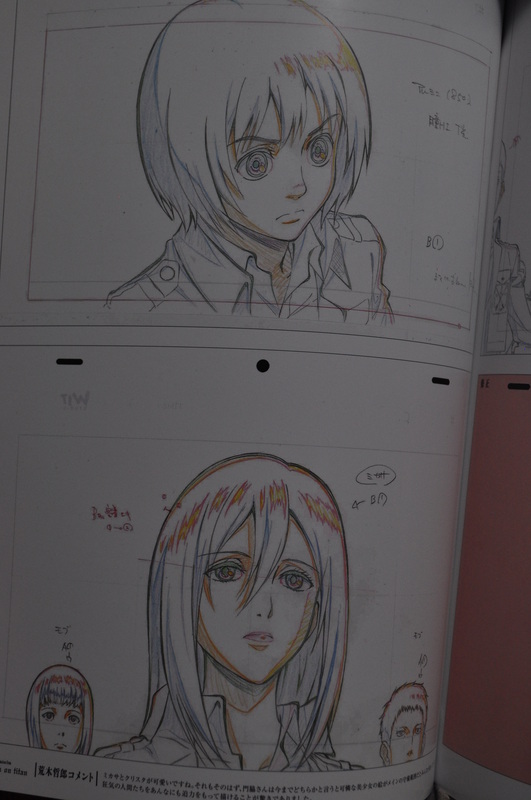 The young animators had to get feedback from the main animator and they had to fix the issues with their drawings themselves. It’s probably way more common for the animation director to just correct anything that’s wrong by himself instead of sitting down with the animator and methodically going over what aspects of his craft he needs to work on. This is true especially in TV productions that are rushing to meet weekly deadlines. However, the animator clearly isn’t going to develop his skills as much as if he had gotten personalized feedback by a more experienced animator and is allowed to work on his problems by his own. 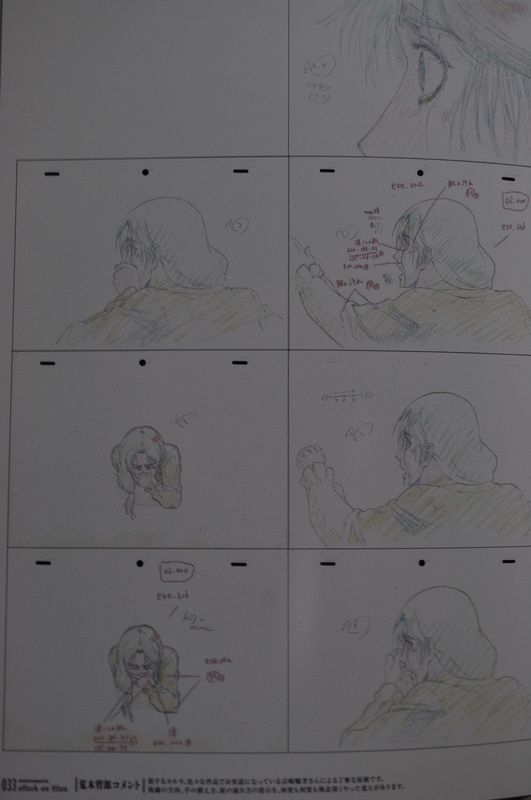 Getting to have one-on-one feedback sessions with Yoshinari clearly was a valuable experience for these animators that they’ll be able to take going forward. 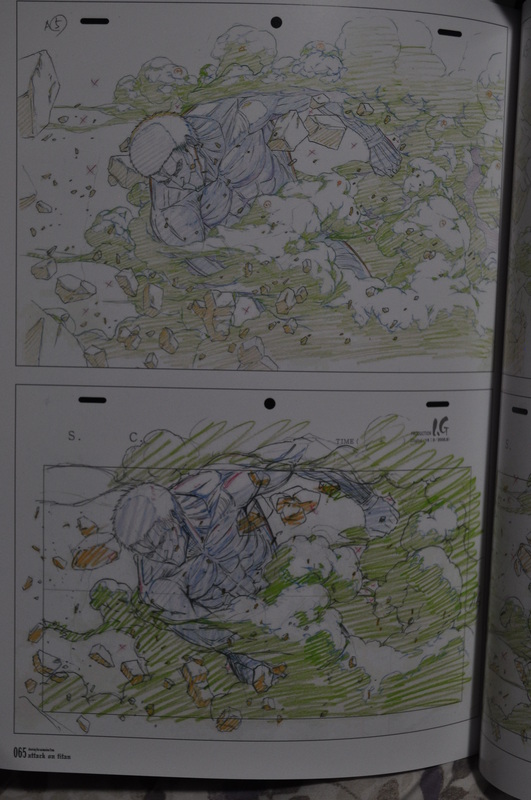 All of the young animators stayed on to work on Kill la Kill, so they’ll probably be mainstays at Trigger for a while. This entry was posted in Uncategorized and tagged Arifumi Imai, Attack on Titan, Little Witch Academia, sakuga, Testuro Araki, Trigger, Wit Studio, Yoh Yoshinari by braves41. Bookmark the permalink.